Delivery to and from Los Angeles, LAX, Beverly Hills, Santa Monica and surrounding areas. Call now 310-568-9175. You can depend on Clockwork Express 24 hours a day 7 days a week anywhere in Southern California. 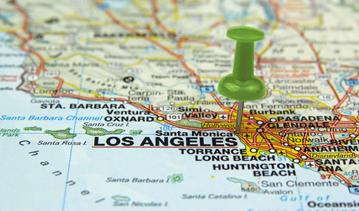 Get quick quotes for your courier services for Los Angeles CA and surrounding cities. We offer competitive rates. Enter your delivery details. Fill the Courier Quote Calculator below and get a quick quote. Our web-based courier services quotation system will instantly look for best quotes. Since the process is fully automated, it’s easy, convenient and no obligation. With Clockwork Express, you can get your same day delivery done at competitive delivery rates. Whether you ship documents, products, medical supplies, or you need to meet unexpected deadlines, we can save you time and money, get them delivered stress-free! Get a quick quote and secure a courier fast and easily! Simply fill the Courier Quote Calculator below. Once you get a free quote, book your delivery online or call 310-568-9175. Clockwork Express will monitor and track your delivery, communicate with you 24/7 to ensure that you always know exactly where your packages are and when they are delivered. Let Clockwork Express lighten the workload and keep your business going!